This is the third in a three-part post running this week. Part 1 here, part 2 here. This final section looks at possibilities in North America. 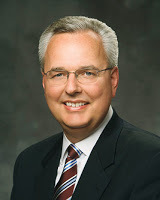 Michael T. Ringwood is Russell M. Nelson's son-in-law. Of the five non-Anglo-Saxon 70's, Larry J. Echo Hawk is the oldest and Hugo Montoya is the youngest. Now to start narrowing these down into those I think are most likely, and I realize much of this may be similar to when I was speculating over one Apostle. I think the most likely combination will be one American and one non-American. I still give the edge to Costa if they go this route. They're familiar with him, and Brazil's the 5th most populous country in the world. 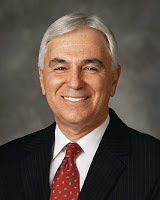 Any of these Apostles would open doors, but Soares seems to be in the right position. Rasband seems the most groomed, but to have a Chinese-American like Gong would be an interesting choice. I think Clayton has his fans in the Q12, but there'd be a wave of resignations if he was made an Apostle. Hamula's been working on how best to increase baptisms now that there are more missionaries in the world, so I could see him as a strong possibility. Christensen's the youngest American in the Presidency of the 70.